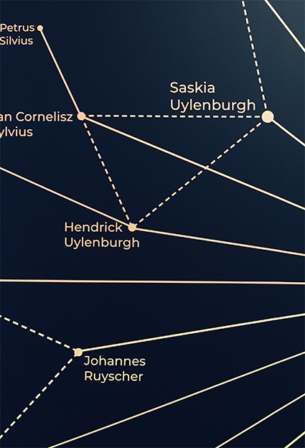 The new temporary exhibition at The Rembrandt House Museum is an opportunity for an intimate encounter with the artist and his circle of friends. 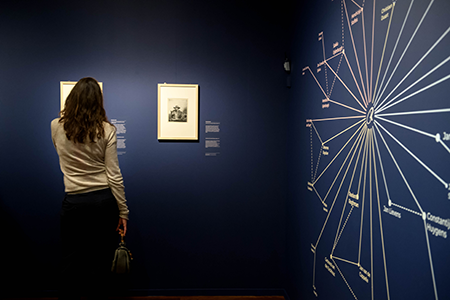 This exhibition explores the concept of friendship in the 17th century and translates it to the present day networks the contemporary visitors can relate to. 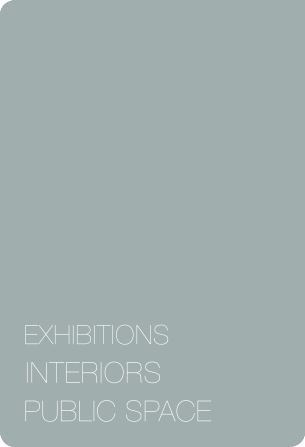 The exhibition design departs from this analogy. 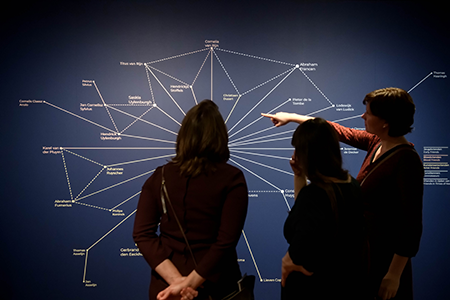 Studio OTW created a universe – an exploded sociogram – virtually connecting the two floors of the exhibition. 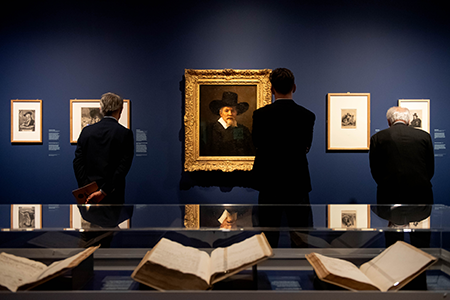 Against a deep blue background, a crystalline structure brings together a number of key figures who symbolise the relationships Rembrandt kept in his time. The openness of the structure allows the view to travel freely across the room, suggesting many layers of connections among different groups of friends. 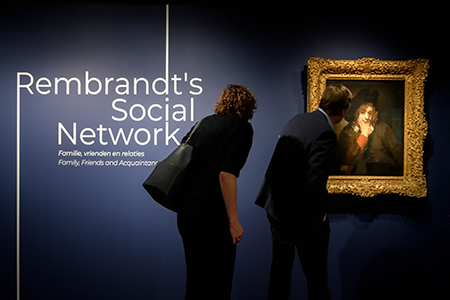 It is a surprising effect which brings the viewer into the centre of Rembrandt’s social network.